Trachoma is an eye infection caused by bacteria. Over 80 million people suffer from it worldwide, it is leading cause of blindness and it is also totally preventable and curable. Trachoma spreads through personal contact, passed on by hands and clothing. Flies landing on the eyes or nose of infected children and adults also pass the disease on. Not being able to see properly disrupts your daily life and repeated infections result in blindness. Living in unclean surroundings increases the chances of catching it because openly defecating and having no where to throw rubbish means more nasty bacteria and more flies – more chance of the disease spreading. Improved sanitation plays a huge role in the reduction of eye infections. With a safe water source at home families can wash themselves regularly, wash their clothes and keep their village tidy – reducing the risk of the disease. Safe water changes everything. Eye infections reduced by 90% as a result of our safe water projects last year. With your help Mutumba and her children can see a brighter future. Trachoma is an eye infection caused by bacteria. It is the world’s leading cause of blindness with over 80 million people suffering worldwide. It is also totally preventable and curable. Trachoma is easily spread through personal contact, passed on by hands and clothing. Flies landing on the eyes or nose of infected children and adults also pass the disease on. Not being able to see properly disrupts your daily life. Repeated infections eventually result in blindness. Living in unclean surroundings increases the chances of catching it. Openly defecating and having no where to throw rubbish means more nasty bacteria and more flies – more chance of the disease spreading. Everything changes with safe water. 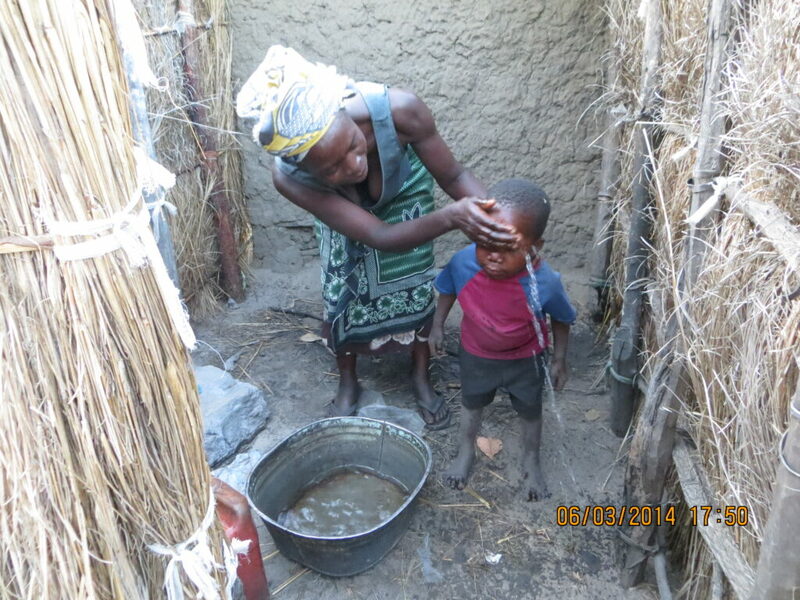 Eye infections reduced by 90% as a result of our safe water projects last year.